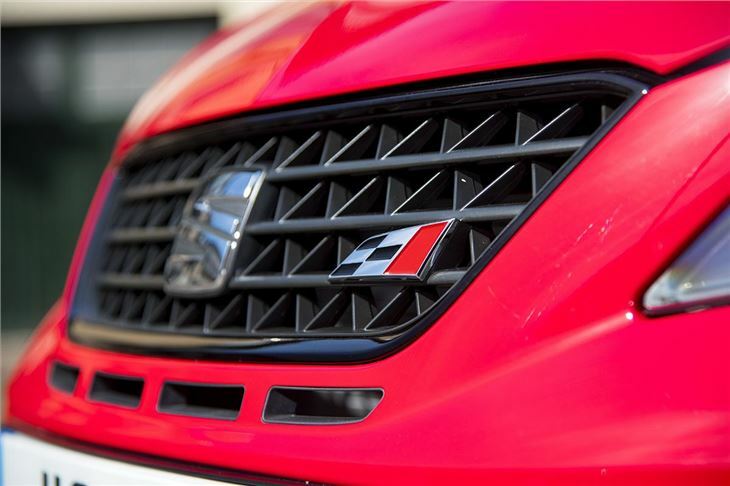 Buyers looking for a small, exciting car have never had it so good. There's a better selection of hot hatches than ever before. 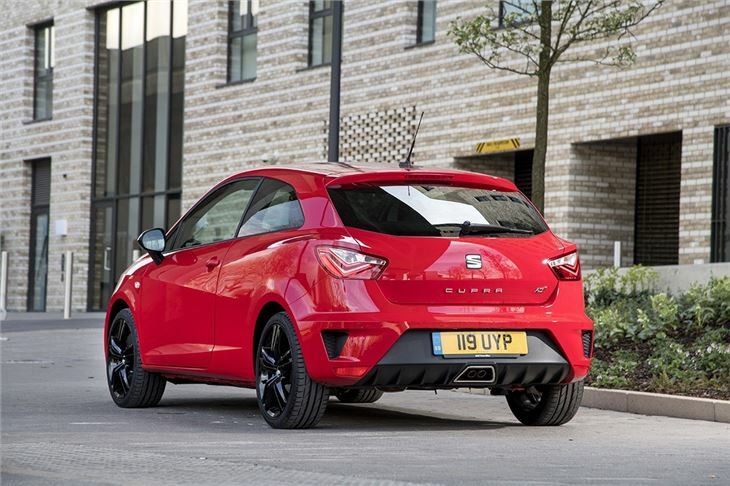 That means competition is stiff though – so SEAT has made some significant changes to the Ibiza Cupra, including a new, more powerful 1.8-litre engine with 192PS and a manual transmission. It replaces the 170PS 1.4-litre twin-charged engine, which was only available with a DSG transmission. It’s not the only tweak SEAT has made – two-mode dampers, bigger brakes and an XDS electronic differential are all fitted as standard. The result is that it’s much more focused than before. The punchy engine produces 320Nm of torque, delivered from just 1450rpm. The result is a very swift 0-62mph of 6.7 seconds – and it will keep picking up pace beyond that. That said, it doesn’t feel as frantic as you might expect, with an easy, slick gear change and a fairly subdued engine note at the lower reaches of the rev range. 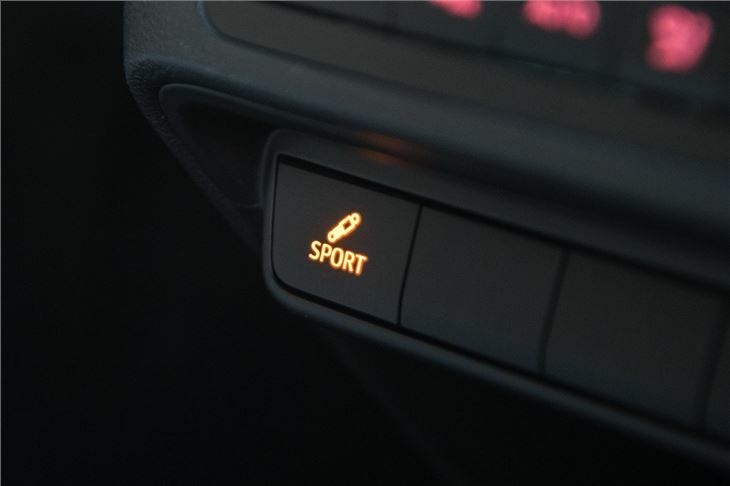 It’s a car that most drivers could quite easily live with every day. Driving around town is easy thanks to the light clutch, while the compact size makes parking straightforward. 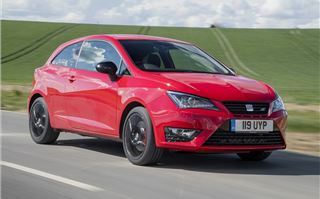 But get on a twisting, country road and the Ibiza is good fun and extremely capable, with huge grip and serious pace. 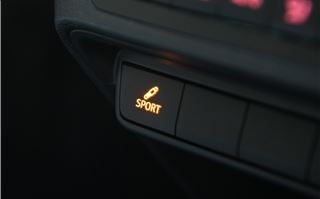 The adjustable dampers have two settings – normal and sport – but even in normal mode there is very little in the way of body roll. The ride is firm but rarely becomes harsh, although in the firmer sport setting every little imperfection and ripple in the road surface is noticeable, so if the surface is very poor it’s best left in the default normal mode. The steering is accurate and very nicely weighted, but it doesn’t give quite the same level of feel as you get in the Ford Fiesta ST. Braking performance is very good, with a nice, firm, progressive pedal action and strong stopping power. 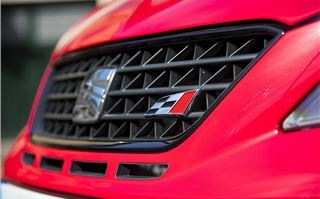 That said, while there’s no denying the capability of the new Ibiza ST – it lacks a little when it comes to sparkle. The engine note, for example, is purposeful but doesn't have the theatre of some rivals, with none of the popping or crackling you get in a MINI Cooper S. The cabin is disappointing too - it could just as well be identical in a lowly, more basic Ibiza variant. On the plus side there is a good level of technology as standard. A touchscreen system is fitted to all cars and can be optionally upgraded from 5.0-inches to 6.2-inches. Cruise control, auto lights, climate control and auto wipers are all standard, while Full Link, which enables improved smartphone connectivity via Android Auto, Apple CarPlay or MirrorLink, is a cheap option at £150 and well worth the money. 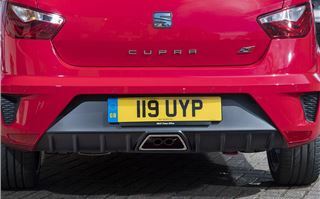 The Ibiza Cupra is based on the three-door SC body style, which limits rear seat practicality. 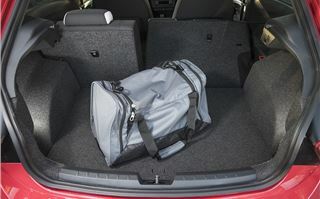 Leg and headroom is tight and access is limited, but for occasional use the back row is on par with any other small car. 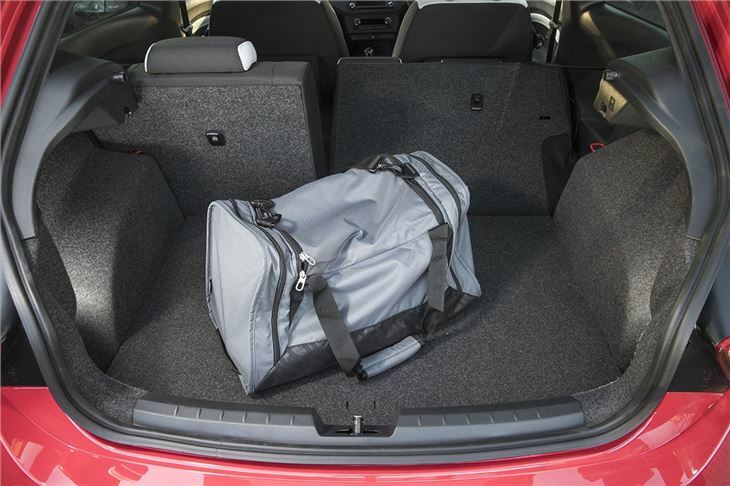 The boot, with its capacity of 292 litres, is big enough for a weekly shop or a weekend away. 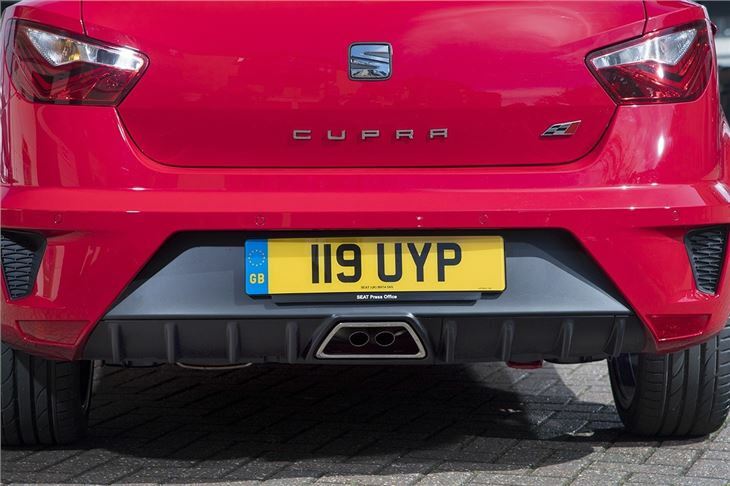 Underneath the metal, the SEAT Ibiza Cupra shares its underpinnings, including its engine and gearbox, with the Volkswagen Polo GTI. That car doesn’t come with two mode dampers as standard, though – and it costs more than the Ibiza. 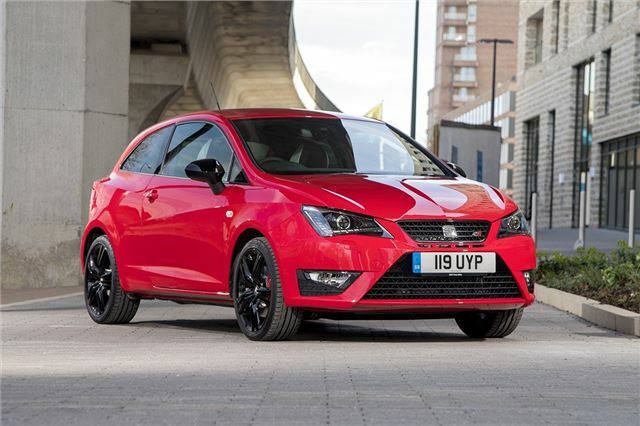 In fact, most rivals cost more than the Ibiza, which is priced from £18,100. The Polo GTI costs from £19,125, which gets you a nicer cabin and Volkswagen badges. 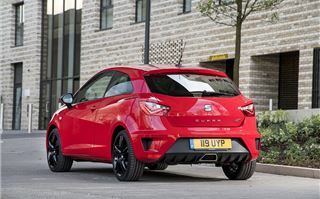 The Vauxhall Corsa VXR, Clio RenaultSport and Peugeot 208 GTI all cost more. That seems good for the IBiza until you realise the best-in-class Ford Fiesta ST costs less. In the basic ST1 trim level it’s priced from £17,745 and it’s a far more entertaining drive. However, the SEAT Ibiza Cupra has plenty of appeal for drivers who want their hot hatch more subdued and user-friendly. Factor in the intuitive touchscreen and impressive, confidence-inspiring handling and it’s easy to recommend, despite the basic Ibiza design feeling dated.